The Detroit Tigers won the AL Central for the fourth year in a row, beating the Minnesota Twins 3-0. It was the second straight season that the Tigers clinched against the Twins. David Price (15-12) was the winning pitcher for Detroit going 7 1/3 innings. Price struck out eight, walked two, and gave up just four hits. Joba Chamberlin came in and shut the door to finish the eighth inning. Joe Nathan closed the game in the ninth, getting his 35 save of the season. Ian Kinsler had a big game for the Tigers, he hit a solo home run in the third off of Kyle Gibson (13-12), which was the only run for the Tigers till the eight inning. Kinsler hit a single in the eighth to drive Andrew Romine in to score, and Tori Hunter hit a sacrifice fly to drive Ezequiel Carrera in. Detroit will be tough to beat in the playoffs, with a pitching rotation of Justin Verlander, David Price, and Max Scherzer. 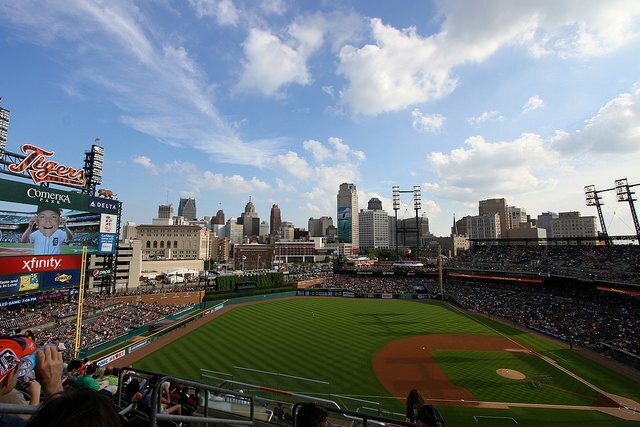 The Tigers will face the Baltimore Orioles in the American League Division Series. Game 1 is Thursday, October 2 in Baltimore.